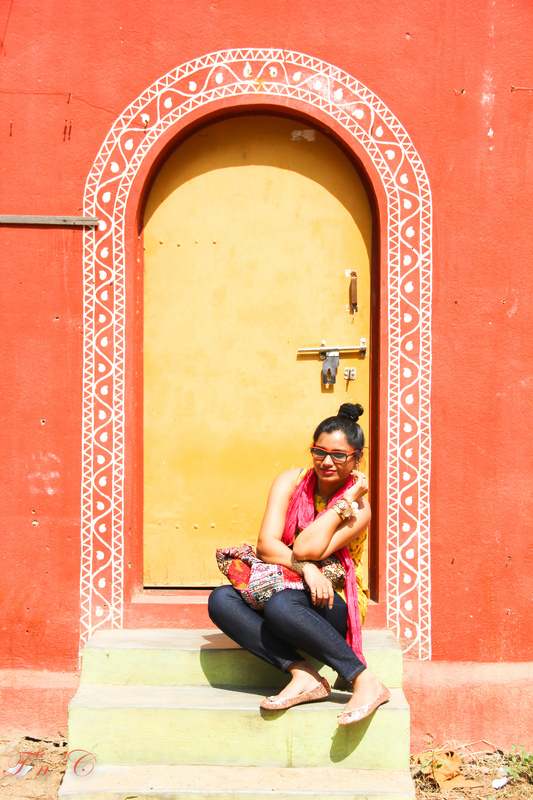 I had seen Hampi(all brown) in pictures so I made it a point to carry all colourful and light clothes for the trip. Incidentally all colourful top with fun prints in my wardrobe happen to be from Global desi.It gets quite hot in Hampi.I kinda like dressing up for fashion.Summer clothes are light and colourful and fun to style.If you are going somewhere hot,carry comfortable cotton clothes.Travel in summers kinda gets tricky so keep yourself hydrated always and wear comfortable and light clothes.You can always do some layering to avoid the tanning. 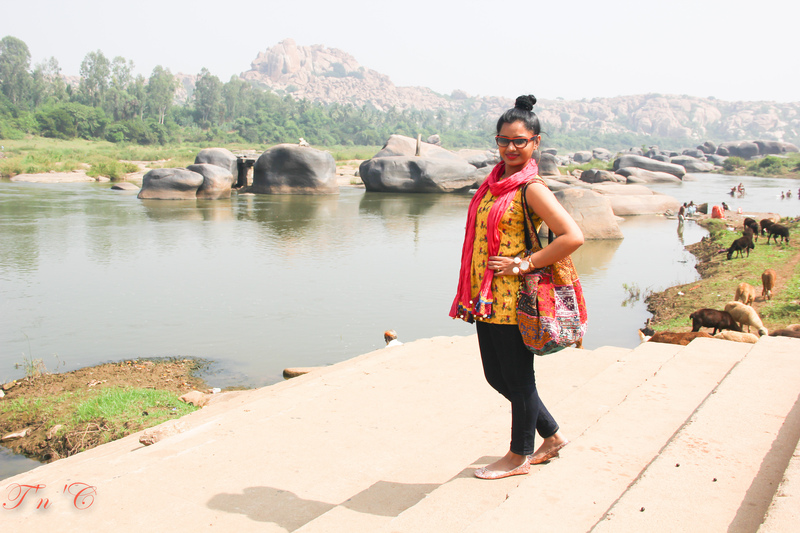 I carried mostly sleeveless tops which were light and comfortable for Hampi. 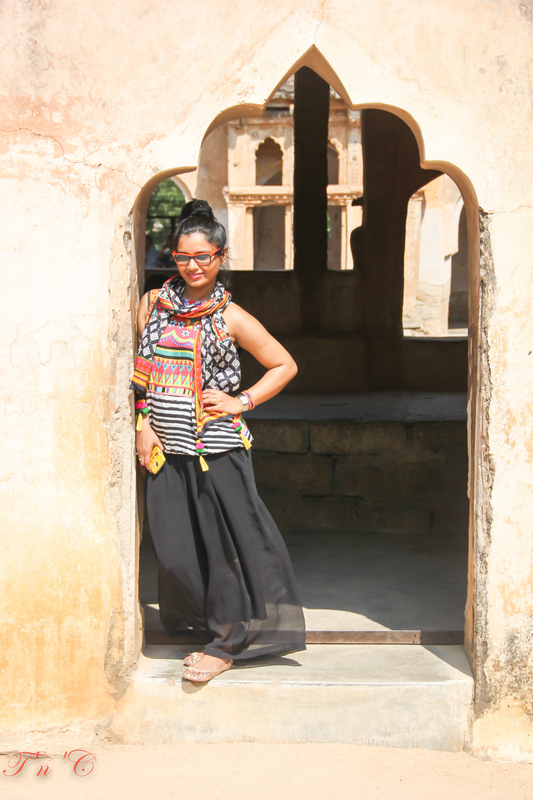 The black printed top was paired with a black palazzo and a scarf both from global desi. 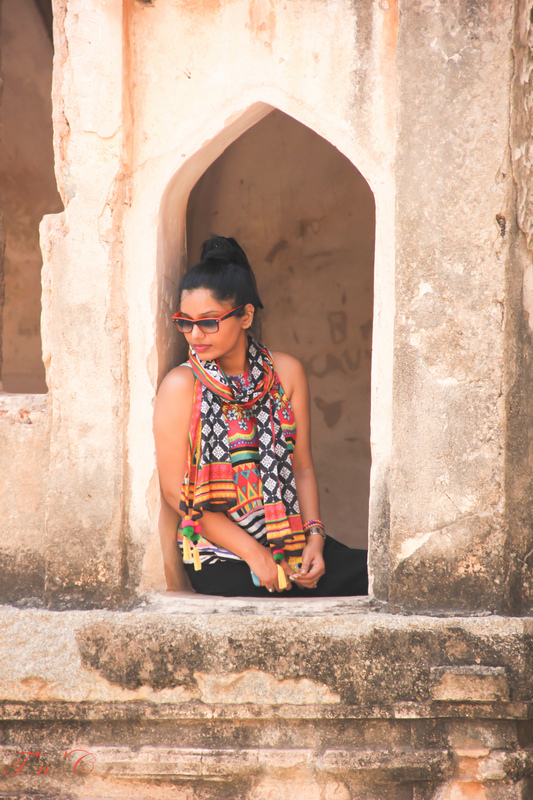 The yellow top is from Global Desi’s mela collection and has a rickshaw print on it. I made a top knot to avoid the heat and threw a pink stole from Biba. 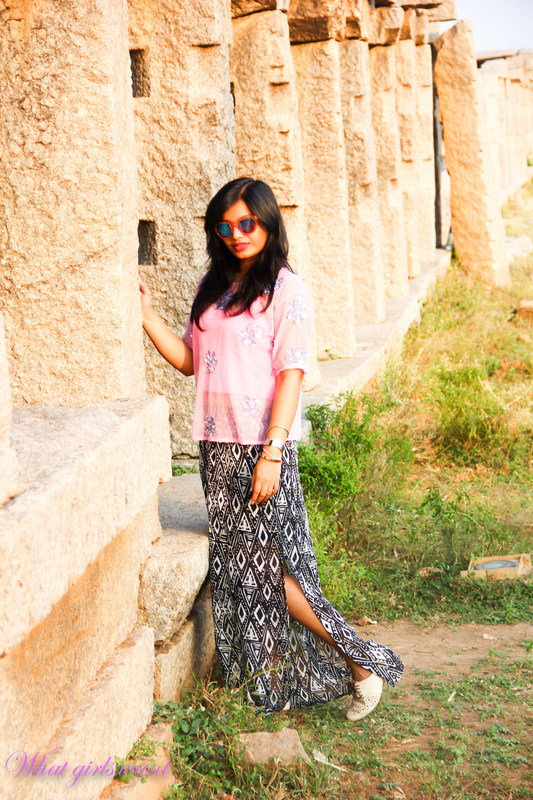 In the evening I wore this maxi skit from forever 21 and a top from KOOVS. 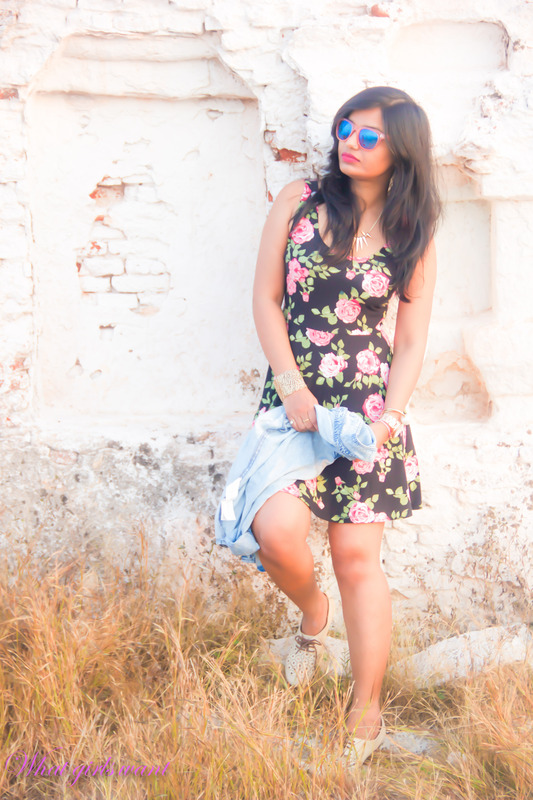 The next day we did not know we were in for a trek .I wore this floral dress from forever 21,denim shirt from mango and Oxford shoes from clarks. I had no idea I was going for a trek and I wasn’t carrying any sport shoes either thankfully these shoes did not let me down but they are not meant for trekking either. Make sure to carry sport shoes if you are going to climb Matanga hill in Hampi.